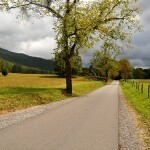 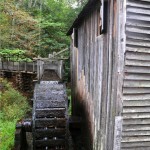 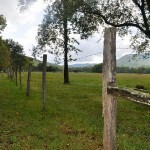 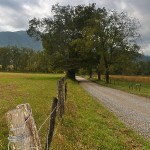 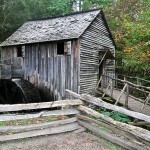 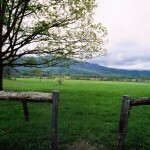 Cades Cove is much more than a drive-thru history museum visited by 2 million people a year. 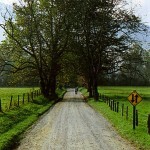 The 11-mile road is a journey of human experience and a safari into wildlife country. 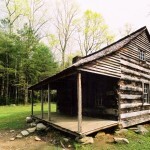 The human history began with Cherokees traveling thru the area to hunt, leaving no evidence of permanent settlements in the valley. 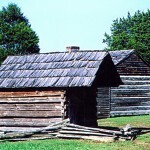 White families may have begun to move into the area after the War of 1812, but could not legally get land grants until 1819 when the Cherokee Nation released the Cove in the Calhoun Treaty. 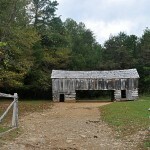 William (Fightin’ Bill) Tipton bought much of the valley floor in 1821 and sold it to friends and family. 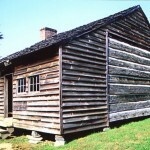 John and Luraney Oliver were among the first settlers here, and his cabin is the first you will visit on the driving tour. 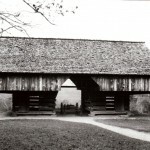 Luraney may have been a “bound” girl, meaning that her father could not raise his children by himself and they were “bound out” by the court like indentured servants. 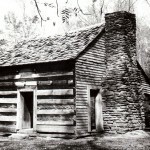 Joshua Jobe, a friend of the Olivers, brought them and other families into Cade’s Cove to settle. 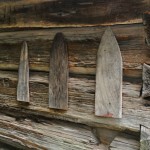 They began clearing the forest by “deadening” trees: cutting a ring around the trunk with an ax to kill them. 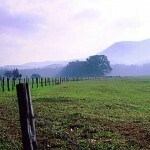 The leafless trees let enough light in to raise crops, then were cut down and burned to add ashes to the soil. 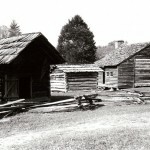 The Oliver and Shields families lived there continuously until the Park was formed. 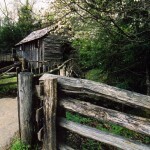 The valley was secluded in the 1800’s, but not as isolated as it appears. 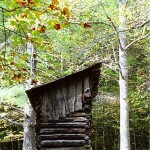 Initial access was from theTennessee side of the mountains following old Cherokee trails into the Cove. 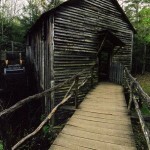 After the 1838 Trail of Tears that removed the Cherokee People to the west, more white people came over from the North Carolina trails. 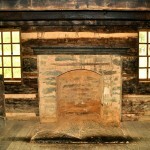 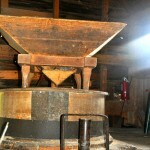 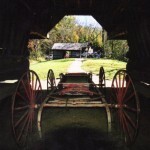 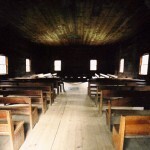 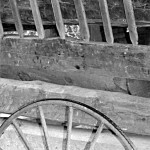 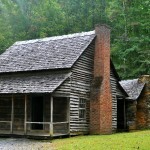 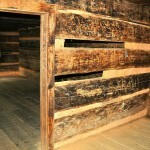 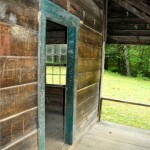 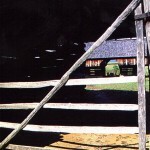 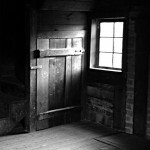 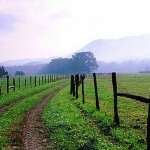 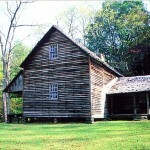 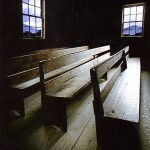 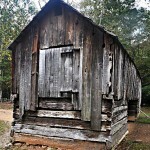 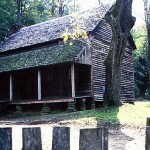 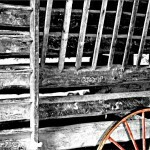 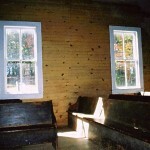 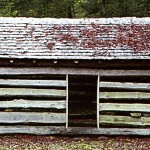 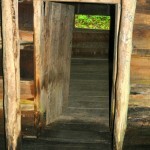 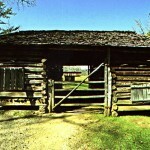 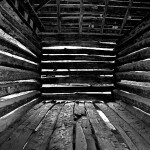 By the 1850 census, 685 people in 132 households lived in Cade’s Cove. 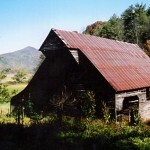 The small valley could not support so many people on farming and hunting, and the population dwindled to 275 by 1860. 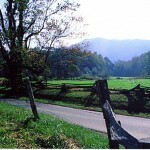 The government began buying land in 1928 to create the Great Smoky Mountains National Park and some families took the $39 an acre offered, and left immediately. 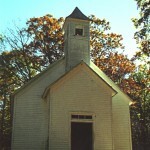 DB Lawson had given ½ half acre for the Hopewell Methodist Church and deeded it to “God Almighty,” which caused a few problems for the government taking over the land! 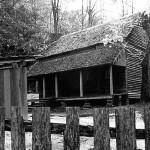 Morton Butler fromChicagowas in the process of buying up land to establish a sawmill in the Cove. 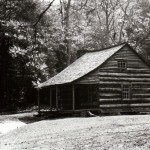 He already had 25,000 acres to log when the Park was formed. 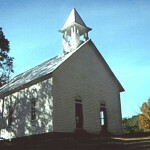 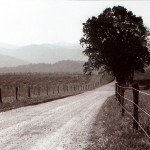 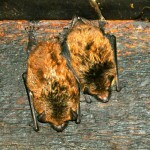 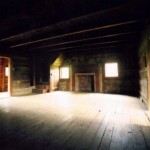 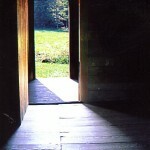 Some residents opted to stay in Cades Cove, the last one passing away in 1999. 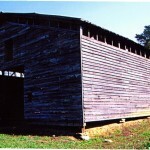 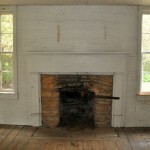 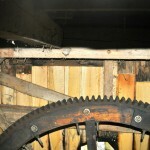 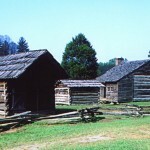 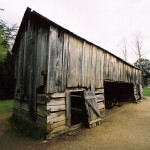 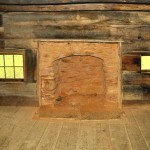 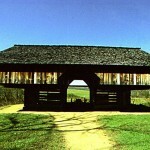 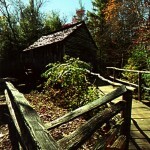 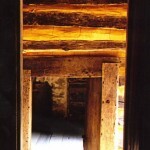 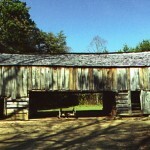 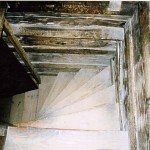 All of the newer structures were removed by the Park Service, leaving only the oldest log homes and barns in the Cove. 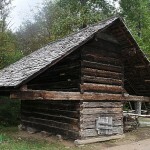 Visitors can get some idea how the first farmers lived here. 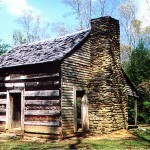 Corn was the most important crop, with cornbread being served with 2 meals a day. 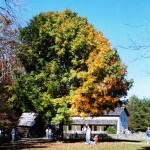 American chestnuts were harvested to eat and to take t oKnoxville to sell for $2 a bushel to buy shoes for the family. 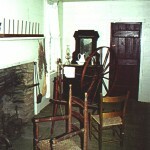 Apple, peach, and plum trees were brought in for preserves. 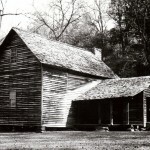 George Powell was a licensed distiller of whiskey and peach brandy. 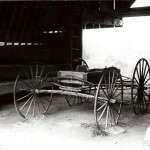 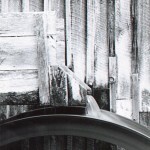 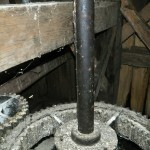 The June 10, 1899 Maryville Times reported that George was murdered by Sam Burchfield who “keeps his hair curled and takes as much pride in it as any woman” because of a dispute over a still. 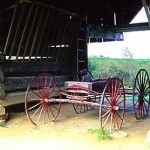 The first car to tour the Cove was a 1912 Cadillac driven by Jack Fisher. 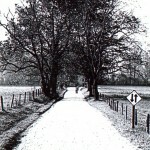 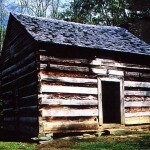 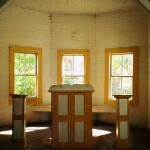 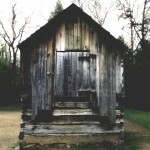 There was a Post Office at various places in Cade’s Cove from 1833 – 1947, with Dan Lawson as one of its Postmasters. 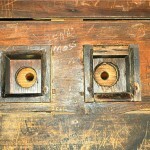 The first telephone was in 1896, which was later abandoned and left only the local lines. 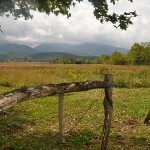 The other attraction in Cade’s Cove is the wildlife: bears and deer. 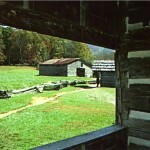 When the Park was formed, there were only 30 deer in the valley. 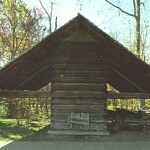 The bears are believed to have been bigger and more in number when they fed off the chestnuts. 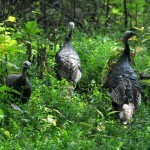 Visitors are reminded of park rules: do not endanger yourself or disturb the wildlife by approaching too closely. 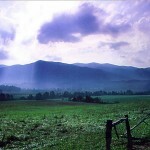 Use binoculars or telephoto lens.